Women experience angina symptoms differently than men. Understanding this difference is the key to detecting angina if you are female. Angina is not a disease but a symptom of coronary artery disease. Through the use of appropriate therapies, angina can be controlled, reducing pain and disruption of your daily activities. Angina pectoris, commonly called angina, is a type of chest pain that occurs when blood flow to the heart is reduced due to coronary artery disease. Pain occurs because the heart isn't getting all of the oxygen it needs in the bloodstream. Angina was thought to be more prevalent in males for years, but a study conducted by the University College London Medical School found that the incidence of stable angina is slightly higher in women than men. Details of the study were published in the journal "Circulation" in 2006, after a study was completed that followed 400,000 people in 31 countries. Classic symptoms of angina include chest pain, heaviness, pressure, squeezing or tightness in the chest. Women are more likely to report pulsating, stabbing or sharp pains and may also experience abdominal pain or nausea. Because women's symptoms aren't always immediately recognized as angina, diagnosis may be delayed. Symptoms of stable angina tend to occur when your heart is forced to work harder, such as during exercise or exertion, or during times of stress. The pain usually only lasts a few minutes and goes away if you rest or use angina medication. Other symptoms may include indigestion and pain in the arms or back. Unstable angina occurs even when you are not active and doesn't follow the normal pattern you've experienced with angina. The pain lasts longer, is more severe, and may not go away even though you use your medication. If you have had stable angina and suddenly develop the symptoms of unstable angina, you could be having a heart attack and should be taken to an emergency room immediately. Variant, or Prinzmetal's angina, causes severe pain that happens when you're inactive. Transient coronary artery spasms are usually responsible for this form of angina. After taking a medical history and asking you to describe your symptoms, your doctor will order several tests. During a stress test, you will be asked to walk on a treadmill while your heart is monitored by an electrocardiograph (EKG) machine. Since angina often occurs when you are exerting yourself, a stress test gives doctors a good idea of the scope of your problem. 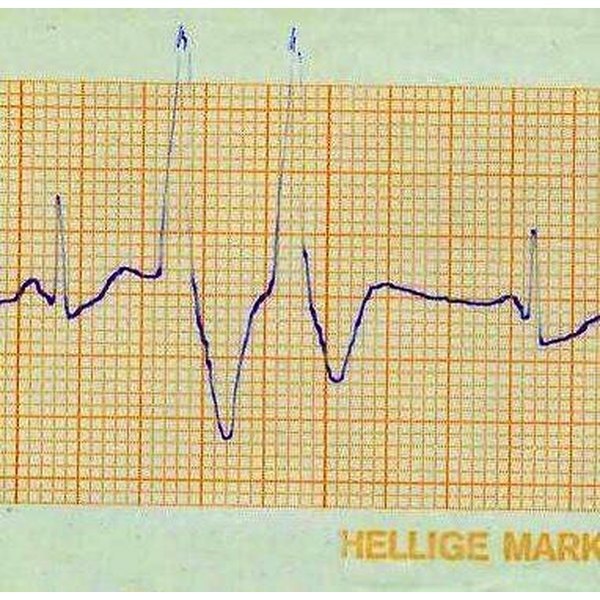 An EKG is also used to spot unusual heart rhythms that can indicate angina. An echocardiogram, a test that uses sound waves to display an image of your heart, may be used to determine whether your symptoms are related to a blood flow problem or damage to the heart. Nuclear stress tests measure blood flow to the heart, while coronary angiography uses X-rays to look inside the blood vessels in the heart. Chest X-rays can be helpful in ruling out other conditions that may cause symptoms similar to angina. Treatment for angina is targeted to reducing your symptoms and your risk of heart attack. If you are diagnosed with angina, you will be advised to make certain changes--such as resting frequently when exercising, losing weight, eating healthy foods and avoiding large meals. There are a number of medications that can help improve blood flow to your heart, block cholesterol-causing substances in your heart or prevent blood clots. Nitroglycerin, a drug used to help open the blood vessels, is the most well-known treatment for angina. In some cases, angioplasty may be needed to open clogged arteries. Angioplasty is accomplished by inflating a small balloon in an artery to open the blood vessels and then placing a stent in the artery to help it remain open. Coronary artery bypass surgery may be recommended if you have a complete blockage that cannot be helped by angioplasty. In this procedure, an artery or vein from another part of your body is placed in your heart in order to bypass the clogged part of your artery.